Seismic ray-tracing methods are widely used in seismology, with most such algorithms being executed in Cartesian or spherical coordinate systems. However, the actual Earth is not a perfect sphere but rather an ellipsoid, meaning that results calculated in spherical coordinates may be different from the actual situation. The general approach is to first calculate traveltimes in a spherical Earth model, then apply ellipsoidal time corrections to obtain more accurate traveltime data. Alternatively, one may directly conduct the ray tracing in the ellipsoidal Earth model without any time corrections. 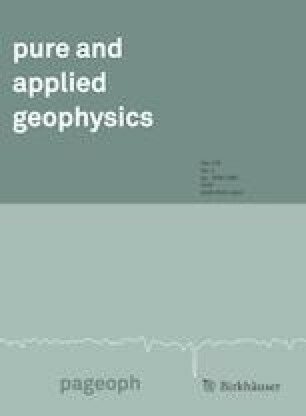 In this paper, we extend the functional of the multistage irregular shortest-path method, previously formulated for a spherical Earth model, to an ellipsoidal Earth model in order to trace multiphase global seismic arrivals. The results of two models indicate that the proposed algorithm has high computational accuracy, which can be further tuned by decreasing the secondary node spacing. Comparison tests indicate that the traveltime differences between the ellipsoidal and spherical coordinate ray-tracing methods cannot be ignored for direct P and S arrivals, reflected PcP and ScS arrivals, and reflected and converted PcS and ScP arrivals. The traveltime differences (TE − TS) computed by the ellipsoidal and spherical ray-tracing methods have different distribution patterns, being dependent on the source locations. However, in general, these traveltime differences (TE − TS) have relatively large negative values near the polar region and positive values near the equatorial region, except for sources located near the polar region. For ellipsoidal time correction in a specific case, the maximum differences between the traveltimes computed by the ellipsoidal coordinate ray-tracing method and the AK135 Traveltime Table after application of ellipsoidal time corrections are less than 0.1 s. Meanwhile, the maximum differences between the traveltimes predicted by the ellipsoidal coordinate ray-tracing method and by the spherical coordinate ray-tracing method after application of ellipsoidal time corrections are only 0.075 s for the six stated phases. These results indicating that ray tracing could be conducted directly in the ellipsoidal Earth model. This research was funded by the Fundamental Research Funds for the Central Universities, Chang’an University (300102269109).